Please welcome today's paranormal guest author Kathryn Leigh Scott! Kathryn, known for her role as the bride of vampire Barnabas Colllins in Dark Shadows, is the author of Dark Passages . Kathryn: I started writing when I was about 7 years old, and wrote a story about a little girl named Pixie who walks into the woods on the edge of her family's farm and comes across the ruins of a cottage. It becomes her secret dollhouse, which she loves to play in because a good witch appears who gives her dolls the ability to speak. I actually lived on a farm with a derelict cottage in the woods at the end of a meadow. My parents forbid us to play in the woods for fear we would get lost, and made sure we didn't disobey by telling us a wicked witch lived there. I desperately wanted a dollhouse and I guess my imagination took it from there! 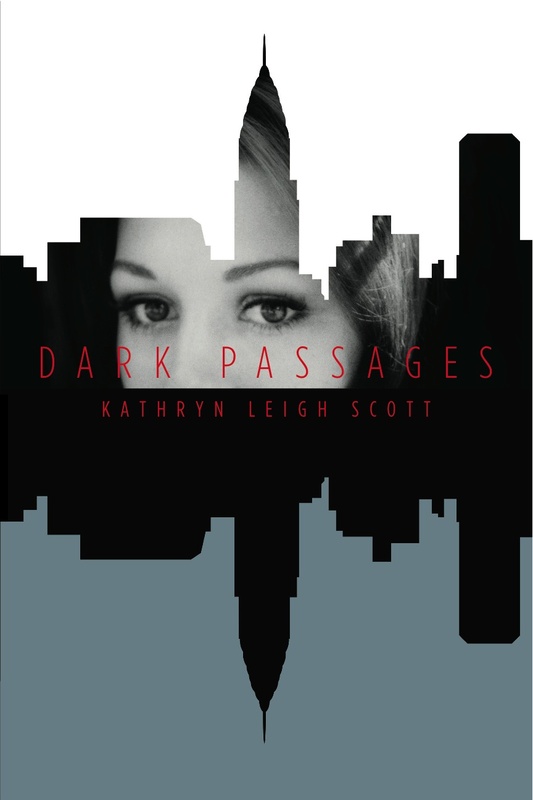 Kathryn: I originally wrote DARK PASSAGES as a coming of age story set in the 1960s. When I finished the novel, I was reading a portion aloud to my husband when it occurred to me, "What if . . . . Meg Harrison was a real vampire?" I made some notes and rewrote the book. Thinking back, it was a natural choice and felt entirely organic to the story. Now I can't imagine the story without those elements. I know it also has much to do with being steeped in Dark Shadows lore and having originated the role of Josette duPres, the doomed fiance of vampire Barnabas Collins. The series is now celebrating its 45th anniversary and is still very much a part of my life. Kathryn: Mind reading! I've thought of the downsides, but they don't stack up against the terrific advantage of knowing what someone else is thinking. Communicating with the dead is also appealing, providing one has a choice on who is called up. I'm not sure I would say no to acquiring any sort of special gift —who wouldn't want to fly or have superhuman strength? Kathryn: If I may say so, I think the very fact that the characters and story were fully formed before the paranormal elements were included give the novel more dimension. It's also a very personal story for me, although it is anything but a "memoir." I draw on what I know and remember, of course, and I believe readers familiar with my nonfiction books about Dark Shadows will enjoy my wild imaginings of what "might've, could've" taken place. Kathryn: Carey Mulligan is the first to come to mind to play Meg Harrison. Young Bella Heathcote, who plays Josette DuPres in the new Warner Bros film of Dark Shadows, would also be a good choice. Dark Passages is a coming-of-age story encapsulating the romance and innocence of JFK’s Camelot era and the tumultuous "dark passages" of Meg Harrison, a vampire raised by her mother to resist the temptation of human blood. Meg arrives in New York determined not to use her vampiric gifts to fulfill her dream of becoming an actress. She joins the cast of the cult hit Dark Passages, only to face her nemesis, a beautiful 300-year-old witch bent on destroying her. Their rivalry leads to a final confrontation as the telekinetic vampire and spell-weaving sorceress engage in a spectacular battle for supremacy. It takes all of Meg’s wit and tenacity to defeat the witch and win the affections of a handsome young mortal with a secret life of his own. In the end, Meg realizes that the powers she always denied within herself are not a curse, but a blessing. Thank you Kathryn for joining us here today at From the Shadows! To learn more about Kathryn Leigh Scott and her books, please visit her website. We are giving away a paperback copy of Dark Passages by Kathryn Leigh Scott to one lucky winner! To enter, please leave a comment on this post including your email address (so we may contact you if you win). You do not have to be a follower to enter (though I always appreciate a follow!). This giveaway is to US mailing addresses only. Giveaway ends September 23rd midnight EST. Very cool giveaway! Thanks so much! As a lover of Dark Shadows, I must read this. This really is intriguing. Thanks! Wonderful interview and this sounds like a GREAT book! Thanks for this! Sweet - I love the idea behind the book and the connection to "Dark Shadows." sign me up for the giveaway! Nice interview and I'd love to read. Especially if it draws from the Author's deep life. Also I just love vampires! Almost forgot to give my email. Well that sounded like a good read =) I have not heard of this book until now. I'd love a chance to read Meg's story. Please count me in and thanks for introducing me to a new author. This sounds fantastic. Thanks for the giveaway! O.K. now I'm doing a girlie girl squeal, I loved Dark Shadows. This book sounds intriguing with the mixture of vampires and witches, would love to read it. Of course, I'm a follower. Wow, I have always been fascinated with JFK's camelot area, with paranormal elements makes it sound even better. Thank you for the great interview. 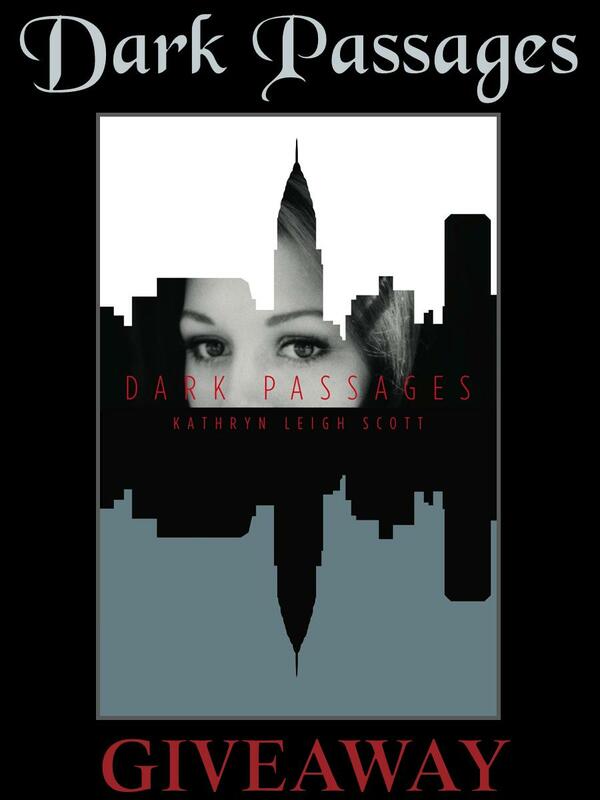 Dark Passages sounds like a wonderful read - thanks for the chance to win it. I would really like to read "Dark Passages" & think it is so cool that one of the characters from "DS" is now writing her own creepy vampire stories! Great interview, Ms. Scott & E.J. & I'm a follower, to boot! Thanks for a chance to win a copy of your book! Dark Passages sounds awesome. Thanks for the giveaway, E.J. I really enjoyed the post. This looks like a great read. I loved Dark Shadows. I never missed the show!!! I don't think I have ever read a fiction book set during the JFK era. Thanks for the giveaway. I like the cover. The book sounds good. Thanks fo the giveaway. Thank you everyone! It's so wonderful to hear about how so many people remember Dark Shadows fondly and still watch it today. I really enjoyed doing the interview with E.J. Thanks for the good wishes and support! THe cover is beautiful and the book sounds good. LOVE Dark Shadows! Can't wait to read your new book, Kathryn. I really enjoyed the different interview questions you asked, EJ. Thanks for the chance to win a copy of Dark Passages! I love the stories where the heroine is a strong character who will fight for what she wants, and not needing some guy to save the day for her. This sounds awesome! Thank you for the giveaway.I'd like to be enter for the giveaway. I'm a follower. This sounds like another great read, hoping to win a copy! I'd love to read this! Thanks for the giveaway!